The loss of a family member causes immeasurable pain, but when that loved one dies at the careless hands of another, that grief can be overwhelming. Dean Phillips can be your voice of reason during this challenging time and help you navigate the legal issues you may face. In Georgia, the law has established an order for family members to proceed with a lawsuit. First, the spouse may file a claim, and if the decedent also had children, the compensation will be shared between the spouse and children. If the decedent did not have a spouse, then his or her children may file the claim. If the decedent had neither spouse nor children, then the parents may file a claim. Lastly, if the decedent has no spouse, children, or parents, then the estate may file a claim to secure benefits for any next of kin. Your loved one’s value far exceeds any monetary value a court or jury could assign him or her, but compensation is for the benefit of your family. Damages are available to you because of the loss of income your family member’s death may have incurred or medical and burial expenses that you may have had to pay. Why Should You Seek the Advice of an Attorney? Wrongful death lawsuits have statutes of limitations that may vary depending on particular situations. 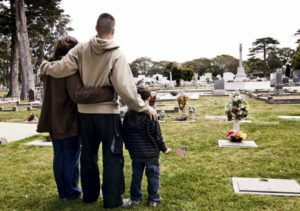 Your Marietta, GA Wrongful Death Attorney knows when he must file your claim based on the law and will explain what you can expect about how your case will proceed. Dean Phillips will advise you about filing an estate claim with your wrongful death claim. Dean Phillips will inform you about who can file the claim and clarify the laws regarding how damages are distributed among loved ones. More importantly, Dean Phillips will negotiate the aspects of your claim on your behalf so that you can handle the more immediate demands of your family. He will be your voice of reason during your time of distress.